CREW ON ARRIVAL REPORTS A FULLY-INVOLVED HOUSE FIRE. HOFFMAN ESTATES T22 CREW GOING TO ROOF OPS. TENDER(S): TENDER65, TENDER 2, ELK GROVE TOWNSHIP TENDER11 MUTUAL AID. REPORT OF AN APARTMENT FIRE. CREW ON ARRIVAL REPORTS A FIRE IN A 2-STORY APARTMENT, 50X100. UPGRADE FROM GENERAL ALARM TO SPECIAL ALARM. REPORT OF HEAVY, BLACK SMOKE SHOWING FROM A ONE-STORY RANCH ON THE SHORE OF ISLAND LAKE. FLAMES REPORTED FROM THE REAR. CARY SQUAD, AND NUNDA AMBULANCE MUTUAL AID. REPORT OF AN ATV 4-WHEELER ACCIDENT WITH MULTIPLE INJURIES. INITIALLY A REPORT OF ONE CHILD AND ONE ADULT INJURED. CRASH ON THE ICE BUT NOT IN THE WATER. A3 CREW REQUESTS A SECOND AMBULANCE AN A BATTALION CHIEF AT 3:29 PM. LAKESIDE DR CLOSED BETWEEN ARBOR LN AND OLD MCHENRY RD. A3 TRANSPORTING TWO PATIENTS TO CONDELL MEDICAL CENTER. A TOTAL OF THREE PATIENTS WERE TRANSPORTED TO ADVOCATE CONDELL MEDICAL CENTER. EXTRICATION CRASH WITH CREWS REPORTING HEAVY DAMAGE. WORKING STILL ON BOX #15-1. E38 CREW ON ARRIVAL REPORTS A FIRE ON THE SECOND FLOOR. E38 LEADING OUT AT SIDE A AND E95 LEADING OUT AT SIDE C, AERIAL GOING TO THE ROOF, GROUND LADDERS TO THE SECOND FLOOR AT 10:11 PM. BC13 REPORTS MAIN BODY OF FIRE IS OUT, HOLE IN THE ROOF, WORKING ON OVERHAUL BY 10:15 PM. BC13 REPORTS A GOOD-SIZE HOLE IN THE ROOF, CREWS COMING OFF THE ROOF BY 10:19 PM. BC33 ON ARRIVAL REPORTS A 2-STORY RESIDENTIAL WITH SMOKE SHOWING. E32 IS LEADING OUT AT ABOUT 9:28 PM. TL10 ASSIGNED TO OPERATE ON THE STATE ST SIDE OF THE SCENE AT 3:14 PM. SERIOUSLY INJURED VICTIM IS LOCATED UP ABOUT 60 FEET ON A CRANE. BC1 REPORTS VICTIM IS BEING TREATED BY PARAMEDICS UP IN THE BASKET OF TL10 AND WILL BE BROUGHT DOWN SHORTLY IN THE BASKET. VICTIM WAS FREED FROM SOME TYPE OF ENTRAPMENT IN THE CRANE BY 3:33 PM. BC1 REPORTS THE VICTIM IS DOWN AND IS IN THE CARE OF A43 PARAMEDIC CREW BY 3:45 PM. VICTIM TRANSPORTED TO LEVEL I TRAUMA CENTER NORTHWESTERN MEMORIAL HOSPITAL WITH LIFE-THREATENING INJURIES. THE VICTIM WAS PRONOUNCED DEAD SHORTLY AFTER ARRIVAL AT NORTHWESTERN MEMORIAL. REPORT OF A CRASH WITH INJURIES AND POSSIBLE ENTRAPMENT ON I-294 JUST BEFORE 159TH ST. A SMALL GRAY SEDAN AND A SEMI-TRAILER TRUCK ARE REPORTED INVOLVED IN THE CRASH. VAN IS PARTIALLY UNDER SEMI-TRAILER TRUCK REAR END. BC21 REPORTS CREWS ARE INVESTIGATING A LEAK IN A 6-INCH LOW PRESSURE MAIN AT ABOUT 12:08 PM. GAS COMPANY REPORTING ELEVATED READINGS IN SOME OF THE RESIDENCES -- REQUESTING A LEVEL 2. TWO 2 1/2-INCH LINES STANDING BY AND EVACUATING RESIDENTS BY 12:24 PM. ELEVATED READING IS AT A 2-STORY, 25X40. REPORT OF A CHIMNEY FIRE. PERSON HIT BY A VEHICLE -- WAITING BY THE 7-ELEVEN. REPORT OF A CAR VS PEDESTRIAN INCIDENT. CREW ON ARRIVAL REPORTS A 2-STORY HOME WELL-INVOLVED WITH FIRE AT 4:37 AM. MABAS DIVISION 19 BOX ALARM ON BOX #1977 FOR A STRUCTURE FIRE (HOUSE FIRE). "ONE HOUSE WEST OF 16338 SPENCER RD"
TOWER LADDER WORKING WITH ELEVATED MASTER STREAM. CREW ON ARRIVAL REPORTS "WE HAVE A FIRE" IN A 2-STORY BRICK FRAME. BC13 REPORTS FIRE IS UNDER CONTROL WITH PRIMARY SEARCH COMPLETE AND NEGATIVE BY 8:54 PM. HOLDING UP THE SQUAD AND THE VAN. EMS FIELD CHIEF ALSO HELD UP. FINAL SEARCH COMPLETE AND NEGATIVE AT 9:00 PM. CREW ON ARRIVAL REPORTS A FIRE IN THE ATTIC OF A 1 1/2-STORY BUNGALOW. E55 CREW HAS THE MAN IN THE ICE ILLUMINATED IN A SPOTLIGHT. THE CREW IS PREPARING TO THROW THE VICTIM A LINE AT ABOUT 11:20 PM. THE MAN IS ON THE DOCK BY 11:24 PM. CRASH WITH INJURIES: RAISED TRUCK CRASH WITH POWER LINES. ONE PATIENT TRANSPORTED TO ADVOCATE CHRIST MEDICAL CENTER. ABOUT 100 COMED CUSTOMERS AFFECTED BY POWER INTERRUPTION FOR ABOUT 90 MINUTES. CRASH WITH INJURIES; THREE VEHICLES INVOLVED IN REAR-END CRASH. CRASH IN SOUTHBOUND LANES. FD BLOCKING BOTH DIRECTIONS TEMPORARILY. ONE-VEHICLE CRASH INTO A VIADUCT. CRASH WITH INJURIES AND PIN-IN. T32 CREW IS WORKING THE HURST TOOL. A34 TRANSPORTED ONE PATIENT CODE YELLOW TO MOUNT SINAI BY ABOUT 12:34 AM. REPORT OF SMOKE SHOWING FROM THE REAR OF THE BUILDING. 1341 ON THE SCENE REPORTS SMOKE SHOWING IS DUE THE BURN THAT THEY HAVE HERE GOING CONSTANTLY -- APPARENTLY IN MULCH PILE. TRUCK(S): TL421 HIGHWOOD T37 T53? MABAS DIVISION 4 BOX ALARM ON BOX #42-49 FOR A STRUCTURE FIRE (HOUSE FIRE) AT 5:06 PM. CRASH WITH INJURIES. SUV INTO A TREE. E68 CREW ON ARRIVAL REPORTS THEY HAVE A FIRE 1 1/2-STORY ORDINARY. 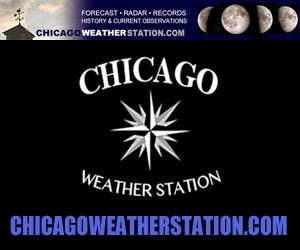 BC8 REPORTS A 1-1/2-STORY CHICAGO BUNGALOW WITH A FIRE IN THE ATTIC. ONE LINE ON THE FIRE AND PRIMARY SEARCH UNDERWAY AT 1:56 PM. E62 CREW ON ARRIVAL REPORTS A 2-STORY FRAME WITH LIGHT SMOKE SHOWING FROM THE ROOF. E62 ON THE D SIDE REPORTING A WORKING FIRE -- BEDROOM FIRE. BOTH PRIMARY AND SECONDARY SEARCHES ARE CLEAR AT 1:44 PM. BC61 CHECKING FOR EXTENSION AND WORKING ON VENTILATION BY 1:39 PM. REPORT OF A TWO-VEHICLE CRASH WITH INJURIES ON ALGONQUIN RD JUST WEST OF ROUTE 53. CREW REPORTS CRASH INVOLVING TWO VEHICLES IS ABOUT ONE-HALF MILE WEST OF ROUTE 53. CALL FROM A WORKER AT ENGLEWOOD AUTO PARTS SCRAP COMPANY. A CIVILIAN WALKED IN WITH TWO GRENADES -- UNSURE IF THEY ARE LIVE OR NOT. 225 REPORTS INTERVIEWING INDIVIDUALS AND TRAFFIC IS BLOCKED IN SEVERAL DIRECTIONS AT 12:10 PM. E50 HAS DROPPED A LINE AS A DE-CON LINE. 225 REPORTS CHICAGO POLICE SPECIAL FUNCTIONS UNIT ARRIVED TO GATHER INFORMATION AND DEVISE A PLAN OF ACTION. REPORT OF A MINIVAN AND A LEXUS INVOLVED IN A CRASH. CRASH WITH INJURIES. CREW REPORTS TWO VEHICLE REAR-END TYPE COLLISION WITH MINOR DAMAGE. E26 REPORTS THERE ARE MULTIPLE RELEASES FOR SPECIAL NEEDS CHILDREN. REPORT OF A ROLLOVER CRASH WITH INJURIES AT ROUTE 47 AND NORTH ROUTE 176. ONE VEHICLE REPORTED IN A DITCH ON ITS SIDE. INITIALLY A MEDICAL CALL, THEN REPORT OF A FIRE ON THE SECOND FLOOR. E10 CREW ON ARRIVAL REPORTS LIGHT SMOKE COMING OUT THE FRONT DOOR AND SMOKE COMING OUT THE ROOF AT 5:52 PM. HEAVY SMOKE REPORTED ON THE SECOND FLOOR; GOING IN WITH A LINE AT 5:55 PM. E10 REPORTS THERE MIGHT STILL BE SOMEONE INSIDE -- REQUESTS A CODE 4 AT 5:53 PM. PRIMARY SEARCH OF THE BASEMENT, FIRST FLOOR AND SECOND FLOOR COMPLETE AND CLEAR AT 6:08 PM. ROLLOVER CRASH WITH INJURIES AND A REPORT THAT ONE PERSON IS STILL IN THE VEHICLE. BC61 ALL PATIENTS OUT OF EACH VEHICLE BY 12:11 PM. BC61 TWO TRANSPORTS AND ONE MEDICAL REFUSAL. REPORT OF A GUNSHOT VICTIM. A62 CREW ON ARRIVAL REPORTS HYDRANT IN THE FRONT, SMOKE FROM THE ROOF AND EAVES, AND A HAND WAVER IN THE FRONT YARD. BC61 ON ARRIVAL REPORTS A MEDIUM-SIZE 2-STORY WITH SMOKE SHOWING FROM THE ROOF. REPORT OF A ROLLOVER SUV CRASH WITH INJURIES WB I-90/I-94 EAST OF TORRENCE AVE NEAR MM 161. MEDICAL TRANSPORT HELICOPTER IN LANDING ZONE ABOUT 11:50 AM. LANES OPEN AFTER MEDICAL HELICOPTER TOOK OFF BY 11:59 AM. "CLOSED ON I-294 AT IL-83"
WB TRAFFIC BACKUP TO HIGHLAND, INDIANA. REPORT OF A CRASH WITH A VEHICLE OFF ROAD AND INTO A POLE. LAKE COUNTY SHERIFF ON ARRIVAL REPORTS VEHICLE HIT A POLE NEXT TO A PIPELINE WITH A SMELL OF NATURAL GAS -- REQUESTS FIRE TO RESPOND TO THE SCENE. NICOR REQUESTED TO THE SCENE. REPORT OF A TRUCK FIRE. A REPORT OF A TRUCK WITH FLAMMABLE LIQUID OR HAZARDOUS MATERIAL WITH A BRAKE FIRE. E10 CREWS ON ARRIVAL REPORTS 2 SEMIS PARKED ON THE SHOULDER WITH NO APPARENT FIRE. BC11 REPORTS NO FIRE AND NO HAZARDOUS MATERIAL -- JUST AN OVERHEATED BRAKE AT 8:58 AM. REPORT OF A PERSON IN THE WATER ON THE NORTH SIDE OF THE HARBOR AND THE NORTH SIDE OF THE PIER. JOGGER SLIPPED AND FELL INTO THE WATER. 6-8-6 WANTS A DOCK NUMBER AT 10:41 AM. CALLER CAN ONLY PROVIDE BY THE CRUISE SHIPS NORTH OF THE HARBOR. E78 CREW ON ARRIVAL REPORTS THEY'RE LOOKING AT 10:43 AM. INCIDENT IS CLOSEST TO A BOAT CALL THE "JOHN D MACK"
E78 REPORTS THEY SEE A MAN HOLDING A PERSON OUT OF THE WATER AT ABOUT 10:44 AM. E78 CREW HAS THE PERSON OUT OF THE WATER BY 10:48 AM AND PUTTING THE PERSON ON A STRETCHER. EXTRA COMPANIES HELD UP AT 10:48 AM. FEMALE PATIENT TRANSPORTED TO ADVOCATE ILLINOIS MASONIC MEDICAL CENTER. E101 CREW ON ARRIVAL REPORTS REPORTS THEY HAVE A LITTLE SMOKE. BC20 REPORTS A 1-STORY ORDINARY, 35X75 WITH A FIRE IN THE REAR. FIRE IS OUT AT 3:29 AM. EXTRA COMPANIES STILL RESPONDING HELD UP. REPORT OF A CAR ON ITS SIDE WITH THE ENGINE RUNNING. INCIDENT INITIALLY REPORTED AS A PERSON INSIDE THE CAR, THEN UPDATED THAT A PERSON WAS LEAVING THE SCENE ON FOOT. WITNESSES REPORT DRIVER POSSIBLY INTOXICATED. CREW ON ARRIVAL REPORTS POLICE AND WITNESS REPORT DRIVER RAN DOWN THE BLOCK. POLICE AND FIREFIGHTERS SEARCH FOR THE DRIVER IN THE NEIGHBORHOOD. REPORT OF AN AUTO INTO THE BUILDING. CREW ON ARRIVAL REPORTS THE VEHICLE IS ONLY INTO THE PORCH. REPORT OF A POSSIBLE ELECTRICAL FIRE INVOLVING AN OUTLET. NOTHING SHOWING ON ARRIVAL. FIRST CREW REPORTS HAZE IN THE BASEMENT. EXTRA COMPANIES RETURNED BY 5:25 PM -- NO WORKING FIRE. QUINT 83 CREW ON ARRIVAL REPORTS A 4-VEHICLE ACCIDENT. APPARENTLY NO EXTRICATION NEEDED -- ALL COMPANIES WORKING THOUGH FOR MULTIPLE VICTIMS. T7 CREW REPORTS VICTIM OUT AT 9:48 AM. E75 ON ARRIVAL REQUESTS A LEVEL I HAZMAT FOR GASOLINE LEAKING FROM A TRUCK'S FULL TANK THAT FELL. 5-1-1 WAITING FOR WORD FROM WATER RECLAMATION TO DECIDE IF MATERIAL WILL BE MITIGATED BY BIOSOLVENT OR FLUSH AT 1:05 PM. EMS: A51 FC ?? STANDBY A ?? E73 CREW ON ARRIVAL REPORTS WE HAVE A LITTLE SMOKE. BC18 REPORTS A 2-STORY ORDINARY, 20X35 WITH A FIRE ON THE FIRST FLOOR, ONE LINE LED OUT, AERIAL TO THE ROOF, GROUND LADDERS IN PROGRESS AT 1:03 PM. BC18 REPORTS FIRE IS OUT PRIMARY SEARCH COMPLETE ON 1 AND 2 AT 1:17 PM. REPORT OF A PIN-IN CRASH ON SB EDENS EXPRESSWAY NORTH OF TOWER RD NEAR CARMAX. SQD29 CREW ON ARRIVAL REPORTS THEIR TAKING COMMAND ON EXTRICATION. SQD29 EXTRICATION COMPLETE -- ONE PATIENT IN A ONE-VEHICLE CRASH. E28 HELD UP BY 12:28 PM. REPORT OF A HEATER ON FIRE. ADDRESS CORRECTED TO 1723 CHARIOT CT.
POLICE ON ARRIVAL REPORT SMOKE FROM THE TOP OF THE BUILDING. CREW ON ARRIVAL REPORTS MEDIUM BROWN SMOKE SHOWING FROM THE THIRD FLOOR AT 11:15 AM. FIRE DECLARED OUT AT 11:45 AM. One room fire on Chariot. Fire is out - fire investigator called to scene. No injuries. REPORT OF A BUS CRASH. E122 CREW ON ARRIVAL REPORTS A BUS CRASH AND REQUESTS AND EMS PLAN 1. IMMEDIATELY STRUCK OUT BY 9:34 AM. MABAS DIVISION 4 BOX ALARM ON BOX #38-11 FOR A STRUCTURE FIRE (HOUSE FIRE) ON ORDERS OF BC38. REPORT OF FLAMES SHOWING FROM THE REAR. BC38 ON ARRIVAL REPORTS FULLY-INVOLVED HOUSE FIRE. DEFENSIVE MODE. BODY FOUND IN SECOND FLOOR BEDROOM DURING SEARCH OF THE HOME. STRUCK OUT AT 2:24 AM. E29 CREW ON ARRIVAL REPORTS SMOKE SHOWING AT A 1-STORY ORDINARY PALLET COMPANY. BC2 REPORTS 2 LINES LED OUT FOR A FIRE ON THE D SIDE OF A BUILDING 50X125. LOOKS LIKE IT IS A TRAILER CONNECTED ON THE OUTSIDE. NO EXTENSION TO THE INTERIOR. REPORT OF A PIN-IN CRASH WITH AT LEAST 2 INJURED. REPORT OF A CAR THAT FELL ON A MAN WHILE HE WAS WORKING ON THE CAR -- FATAL AFTER CRUSH INJURIES. E88 REQUESTS A TRUCK TO THE LOCATION AT 1:28 PM. BC20 REPORTS SCENE IS A CRIME SCENE AT 1:41 PM. APPARENTLY NO FOUL PLAY. REPORT OF A CRASH WITH INJURIES. APPARENTLY MINOR INJURIES. REPORT OF A CRASH WITH INJURIES -- CAR VS SEMI CRASH. MABAS DIVISION 24 BOX ALARM ON BOX #1 FOR A STRUCTURE FIRE (HOUSE FIRE) AT 2:14 PM ON ORDERS OF HARVEY 33. 5009 REPORTS GOING DEFENSIVE AT 2:28 PM. TOTAL OF EIGHT DISPLACED. TRANSPORTING 5 TO INGALLS -- REPORTED AT 2:49 PM. 2ND ALARM AT 2:54 PM ENGINES ONLY. REPORT OF A PERSON HIT BY A TRAIN -- POSSIBLY A PERSON THAT FELL FROM PLATFORM AT INDIAN HILL STATION. CREW ON ARRIVAL REPORTS PATIENT IS AT THE TOP OF THE PLATFORM. TRAINS WERE STOPPED MOMENTARILY BUT BC28 REPORTS NO NEED FOR METRA TO SHUT DOWN AT 6:30 PM. PATIENT WAS IN A28 BY 6:30 PM. CHANGE OF QUARTERS: ASHTON CHIEF ?? SEMI-TRAILER TRUCK CRASH INTO THORN CREEK. MABAS DIVISION 24 HAZMAT ADVISORS BOX ALARM ON BOX #699 FOR A HAZMAT INCIDENT AT THE SCENE OF A CRASH SB I-94 AT I-80. RESCUE OF DRIVER IS COMPLETE AT ABOUT 9:47 AM. HAZMAT ADVISORS: MABAS 24 AND MABAS 27. HAZMAT BOX STRUCK OUT AT 9:50 AM. ComEd reports over 1,600 people are without power in the area of 156th Street and Cicero Ave after a suspect's vehicle involved in a terminated police pursuit crashed into ComEd electrical equipment and/or pole. A power line is reported down in the area after the crash. ALSIP POLICE IN PURSUIT OF A VEHICLE WANTED FOR FLEEING AND ELUDING -- POSSIBLY A STOLEN AUTO (NOT CONFIRMED). WANTED FLEEING AND ELUDING, PURSUIT TERMINATED AT ABOUT 2:29 AM. REPORT OF A CAR WITH NO LIGHTS ON TRAVELING AT SPEEDS OF ABOUT 120 MPH SOUTHBOUND ON CICERO AT ABOUT 2:39 AM. REPORT OF A CRASH WITH EXPLOSION AND A POWER LINE DOWN AND ARCING AT 151ST ST AND CICERO. CRASH AT ABOUT 2:36 AM. SUSPECT RAN SOUTHEAST AFTER THE CRASH. SUSPECT AT LARGE WITH SEARCH UNDERWAY. REPORT OF 6 PEOPLE AFFECTED BY AN UNKNOWN ODOR AND VOMITING. REPORT THAT ODOR IS POSSIBLY COMING FROM THE FRONT DOOR. CREW ON ARRIVAL REPORTS THEY ARE INVESTIGATING. 4-1-13 CALLS IN A CRASH -- A CAR THROUGH THE GATE AND PINNED UP AGAINST THE WALL AT 35TH ST AND DAN RYAN. SECOND ENGINE NEEDED FOR A LINE, THEN HELD UP. EVERYONE OUT OF THE VEHICLE. SQD1 ALSO HELD UP AT 4:58 PM. REPORT OF A DRYER FIRE ... OUT ON ARRIVAL. EXTRA COMPANIES RETURNED. DIESEL SPILL ON THE EASTBOUND SIDE OF THE LAKE FOREST OASIS -- BEHIND THE 7-ELEVEN. SEMI-TRAILER TRUCK -- POSSIBLY A CAR HAULER -- LEAKING DIESEL. REPORT OF A CRASH WITH INJURIES NB EDENS SOUTH OF WILLOW. LIGHT POLE DOWN BLOCKING ONE LANE OF TRAFFIC. ONE PERSON INVOLVED ALREADY OUT OF THE VEHICLE. POLICE REPORT OF A PERSON IN THE WATER. CREW ON ARRIVAL REPORTS POLICE HAVE THE VICTIM OUT OF THE WATER. CHIEF(S): BC ? ?, DEPUTY DISTRICT CHIEF (SCUBA) 6-8-6, SPECIAL OPERATIONS BC 5-1-5. HELICOPTER 6-8-2. REPORT OF A ROLLOVER CRASH WITH NO INJURIES. VEHICLE IS REPORTED OVERTURNED ON THE SHELL GAS STATION PROPERTY. E14 CREW ON ARRIVAL REPORTS A VEHICLE ROLLED OVER IN THE DRIVEWAY OF THE SHELL STATION AT 11:14 AM. ONE OR ALL OCCUPANTS OUT OF THE VEHICLE. E14 REPORTS VEHICLE CLIPPED A UTILITY POLE GUY WIRE AND BROKE THE GUY WIRE. COM ED REQUESTED TO THE SCENE. SECOND AMBULANCE REQUESTED AT 11:01 AM. BC13 AND E95 ON ARRIVAL REPORT HEAVY SMOKE SHOWING FROM AN AUTO SHOP AT THE CORNER OF HARRISON AND KILPATRICK..
BC13 REPORTS A 1-STORY AUTO SHOP 20X40, FORCING ENTRY; E95 HAS A LINE LED OUT. E123 CREW ON ARRIVAL REPORTS A 2 1/2 STORY RESTAURANT WITH NOTHING SHOWING. E123 CREW ON ARRIVAL REPORTS IT LOOKS LIKE THEY HAVE A FIRE IN THE ATTIC. LADDERING BUILDING, PRIMARY SEARCHES NEGATIVE, CREWS ARE GETTING UP IN THE ATTIC AT ABOUT 8:19 AM. OPENING WALLS, OPENING THE ROOF, ONE LINE ON THE 2ND FLOOR AND ONE LINE IN THE ATTIC. REPORT OF A CRASH WITH INJURIES -- 2 AMBULANCE RESPONSE. TL5 REPORTS THE CRASH IS ON RAMP TO THE OB RYAN FROM THE INBOUND STEVENSON. ALLEY GARAGE CONTENTS FIRE WITH BODY DISCOVERED. E101 CREW ON ARRIVAL REPORTS HOLD THE RESPONSE FOR RUBBISH IN THE GARAGE -- THEN CRIME SCENE DISCOVERED AT ABOUT 9:38 PM. CRIME SCENE AT ALLEY GARAGE REPORTED AT 9:45 PM. WOMAN'S BODY FOUND WITH BURNING RUBBISH IN ALLEY GARAGE. E4 CREW ON ARRIVAL REPORTS THEY HAVE A FIRE. BC3 REPORTS A 2-1/2-STORY LIGHTWEIGHT CONSTRUCTION WITH A FIRE IN SECTOR 4 -- TWOARD THE REAR. REPORT OF A POSSIBLE ELECTRICAL FIRE -- SMOKE SEEN. CREW ON ARRIVAL REPORTS A 2-STORY TOWNHOUSE STRUCTURE WITH NOTHING SHOWING FROM SIDE A. SMALL FIRE IN A POWER STRIP. CREWS WORKING ON VENTILATION. FIRE OUT BY 3:57 AM. REPORT OF A PIN-IN CRASH WITH PERSONAL INJURIES ON ROUTE 60 WEST OF ST MARY'S RD. A53 CREW ON ARRIVAL REPORTS A 3-CAR CRASH WITH MODERATE DAMAGE -- LOOKS LIKE EVERYBODY IS OUT OF THE VEHICLES AT ABOUT 4:08 PM. CONFIRMED NO ENTRAPMENT BY 4:10 PM. SQUAD RELEASED AN A52 RELEASED BY 4:12 PM. MABAS DIVISION 21 EMS PLAN 1 ON BOX #2199 FOR AN AUTO ACCIDENT. REPORT OF A FIRE COMING OUT OF A SMOKE STACK, BUT "POSSIBLY EXTINGUISHED." FIRST CREW ON ARRIVAL REPORTS A FIRE AT THE BACK OF THE BUILDING AT THE BRAVO-CHARLIE CORNER. E9 CREW REPORTS DUCT FIRE IN THE CENTER OF THE BUILDING WITH LIGHT SMOKE WORKING OUT THE VENTILATION SYSTEM. NO VISIBLE FIRE SHOWING AT 2:42 PM. THE FIRE WAS REPORTED OUT AT ABOUT 2:43 P.M.
REPORT OF A CRASH WITH INJURIES -- E91 ON THE ALS ASSIST. REPORT OF A CRASH INVOLVING A SCHOOL BUS, CHECKING FOR INJURIES. REPORT OF TWO PEOPLE INJURED. SB ROHLWING RD SOUTH OF THE UNION PACIFIC RAILROAD TRACKS. 1 BLS TRANSPORT AND 3 BLS RELEASES. POSSIBLY TWO CRASHES OR THREE-VEHICLE CRASH. SCHAUMBURG FIRE DEPARTMENT ALSO ON THE SCENE. INCIDENT EVENT TYPE. I-90 WESTBOUND - CRASH - AT BARRINGTON RD - MP 62.2 - 3 LANES BLOCKED OF 3. 1 LANE IMPASSABLE. REPORT OF A HAZE INSIDE RESIDENCE -- 2-STORY MULTI-FAMILY RESIDENCE. CREW ON ARRIVAL REPORTS CRASH IS WEST OF MANNHEIM ON TOUHY -- MINIVAN ON ITS ROOF. ONE PERSON STILL IN THE MINIVAN EXTRICATED BY 3:07 PM. ONE TRANSPORT AND ONE REFUSAL. REPORT OF A 2-VEHICLE CRASH REPORTED ABOUT 12:25 AM. VEHICLE CRASH ON A SERVICE ROAD ON THE AIRCRAFT OPERATIONS SIDE OF THE AIRPORT ON THE NORTH SIDE OF THE PROPERTY. NO AIRCRAFT INVOLVED. FLIGHT OPERATIONS NOT DELAYED. BC6 NOTIFYING 4-4-11 THAT EVERYTHING IS UNDER CONTROL AT 1:04 AM. TWO PATIENTS TRANSPORTED ADVOCATE LUTHERAN GENERAL HOSPITAL IN PARK RIDGE. ONE PATIENT TRANSPORTED TO LOYOLA UNIVERSITY MEDICAL CENTER IN MAYWOOD. ONE PATIENT TRANSPORTED TO RESURRECTION MEDICAL CENTER IN CHICAGO. EMS PLAN 1 SECURED AT 1:26 AM ON ORDERS OF BC6. UPDATE: PASSENGER HAS DIED MONDAY. REPORT OF A PERSON IN THE WATER IN THE LAGOON SIDE BY THE ZOO. BC5 REPORTS THE VEHICLE IS SOUTHBOUND OFF "THE DRIVE" AT ABOUT 1:50 AM. BC5 REPORTS THE CAR IS DOWN THE EMBANKMENT AND LOOKS LIKE IT IS "NOSE-IN" IN THE ICE. THE APPEARS TO HAVE BEEN SOUTHBOUND OFF OF LAKE SHORE DRIVE. CREWS OUT WITH ROPES, LADDERS, TOOLS (SPREADER AND CUTTER), AND STOKES BASKET BY 1:57 AM. BC5 REPORTS CAR IS UPSIDE DOWN ON THE ICE. TWO VICTIMS IN THE CAR. ONE PERSON IS ON ROPES IN THE WATER. PATIENTS ARE NOT RESPONDING. BC5 CALLS FOR ADDITIONAL SQUAD AT 1:57 AM. DIVERS SUITING UP BY 1:58 AM. BC5 REPORTS SQD1 TEAMS IS ON THE ICE FOR THE REMOVAL; SCUBA BACKUP TEAM 687 IS BACKUP RIT AT 2:07 AM. 515 TO SQD2: ASSIGNED TWO MEMBERS SURFACE RESCUE TO BRING CUTTERS AND SPREADERS TOOLS AT 2:10 AM. SQD2 ASSIGNED TO BRING LIGHTS WITH GENERATOR AT 2:13 PM. ONE REMOVAL FROM THE CAR BY 2:16 AM TRANSFERRED TO A43. SECOND PATIENT REMOVED FROM THE VEHICLE BY 2:20 AM. ALSO WORKING ON REMOVING THE VEHICLE FROM THE ICE. A43 TRANSPORTED ONE VICTIM CODE RED TO NORTHWESTERN. A6 TRANSPORTED ONE VICTIM CODE RED TO ILLINOIS MASONIC.